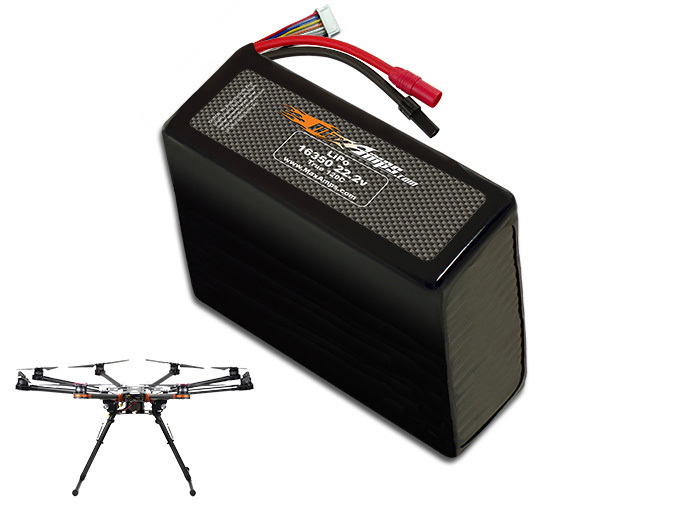 This is a high-performance LiPo battery pack for the DJI S1000 Octocopter. Reliability is a pilot's friend which is what you get when you fly MaxAmps! Note: This pack is built with the stock XT150/AS150 plugs and JST-XH taps shown in the picture for easy plug and play. If you need a different plug or balancing tap, please mention it in the notes section when checking out.